Home » Hiking Tips » Hiking Gear Materials » Durability of Merino Wool – How Durable are Merino Garments? Durability is often considered as the Achilles heel of Merino wool products. Nevertheless, Merino wool clothing is becoming increasingly popular among hikers, trekkers, mountaineers and other outdoor enthusiasts as it offers superb breathability and odor-control (Merino wool is naturally antimicrobial). Furthermore, it is also very comfortable to the touch and doesn’t cause any itching. Due to the outstanding qualities of Merino wool, I made a complete switch to Merino base layers a year ago and since then I’ve tested quite some Merino garments (see the Gear Tests section). In the following I will explain the factors which influence the durability of Merino clothing and give some advice on how to increase the lifetime of Merino garments. I will also compare the durability of Merino wool to the durability of other materials used for sports apparel such as polyester and nylon. If you want to learn more about the advantages and disadvantages of Merino clothing in comparison to other materials check out the base layer and mid-layer sections in our Hiking Clothing Guide. 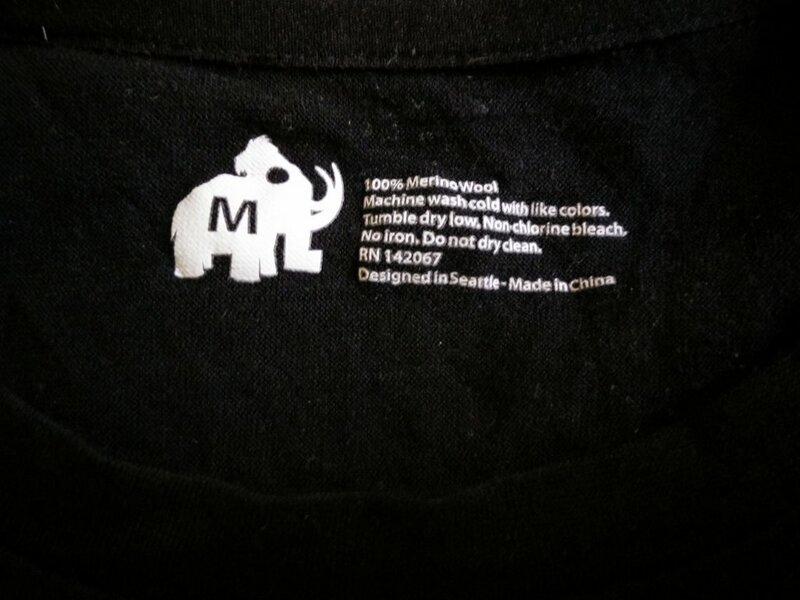 Not all Merino garments are made of 100% Merino wool. Manufacturers often blend Merino wool fibers with synthetic fibers (nylon, polyester etc.) – exactly to increase the durability of the fabric since synthetic fibers are much stronger than Merino wool fibers. Such fabrics also dry faster because the synthetic materials absorb less moisture than Merino wool. Typically the content of synthetic fibers doesn’t exceed 20% in these mixed material garments and thus the fabric stays soft to the touch, breathable and antimicrobial while the durability increases significantly (for more information about this check out my review of the Icebreaker t-shirt which is made of 87% Merino wool and 13% nylon). Some manufacturers also offer Merino garments with higher content of synthetic fibers (50% and more). Such garments are typically very durable but they are not as breathable and antimicrobial as garments with a high content of Merino wool fibers. Furthermore, they are also synthetic to the touch and the question is then how much sense it makes to wear such garments. Merino wool garments differ in fabric density (thickness). The density is usually somewhere between 135 g/m2 and 400 g/m2. Garments made of thick fabrics (250 g/m2 and above) provide better durability than lightweight garments but are naturally also warmer and thus not suitable for summer use. Hence, summer Merino clothing is not as durable as (thicker) winter Merino clothing. Nevertheless, the lifetime of lightweight Merino garments can be significantly increased with proper care. How to increase the lifetime of Merino garments? As Merino wool is naturally antimicrobial, Merino garments offer superb odor-control. Therefore, you can wash them less frequently which obviously increases the lifetime of the garments. I typically wash my Merino clothing only after very demanding hikes where it gets completely soaked with sweat. In winter I might wear the same garment for several hiking trips without washing it. So far I haven’t detected any signs of unpleasant odor on my Merino garments no matter how long I’ve been wearing them – it seems that Merino garments can’t get smelly. 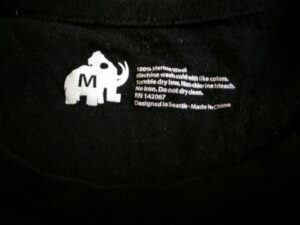 Merino products should be washed in cold water (machine wash) and line dried. Some Merino products can be machine dried but in order to increase their lifetime (or indeed that of any garment) I recommend line drying them anyway. I typically also put my Merino garments in a pillow case in order to protect them from abrasion in the washing machine. If you are often hiking in areas with tall dense vegetation (bushes, branches etc. ), Merino clothing is probably not the best option for you. Merino garments tear very fast if they get in contact with sharp things (thorns, twigs etc.). Nevertheless, nothing offers as good performance as Merino clothing above the tree line. If you do get a small hole or tear in your Merino garment, it might be worth it to stitch it up quickly with needle and thread so it doesn’t spread. Garments made of polyester are typically more durable than Merino wool garments (of a comparable material thickness). However, polyester garments are typically not very breathable and they become smelly very fast. Therefore, I recommend avoiding polyester garments for hiking and similar activities – especially for multi-day trips. Nylon provides even better durability than polyester (identical thickness of the material). However, nylon garments offer very bad breathability and are thus typically used only for hiking in areas where durability is a priority (dense vegetation). 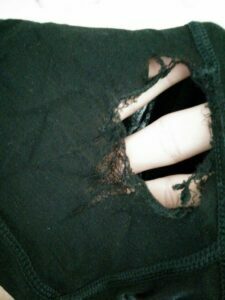 There is, however, one exception; pants are almost always made of nylon for good abrasion resistance. Clothing made of cotton is not suitable for hiking and other aerobic activities as it absorbs too much moisture and thus loses its ability to retain warmth. For more information about cotton in hiking clothing check out our article Why is cotton bad for hiking. Nevertheless, cotton provides slightly better durability than Merino wool (same thickness of the material). Durability is definitely a downside of Merino wool but as Merino garments are highly breathable, antimicrobial and super comfortable to the touch, they are perfect for hiking and other lengthy activities. It is indeed useful to have garments with great odor-control while hiking for a couple days or more where there is limited possibility for washing your clothes. However, I don’t recommend using Merino wool garments for activities such as running. If you for example go running every day you will expose the garment to severe abrasion (thighs area for underwear, armpit areas for t-shirts etc.) and sooner or later the fabric will get damaged. You also don’t need garments with great odor-control for running as you will be able to wash them after the run anyway. If you are buying Merino clothing for summer, I recommend garments which use blend of Merino wool and synthetic fibers (not more than 20%) as such garments provide much better durability while they are still soft to the touch, breathable and odor-resistant. Thicker Merino garments typically provide sufficient durability and don’t have to be blended with synthetic fibers. As for Merino socks, they are typically not much less durable than synthetic socks as the content of Merino wool seldom exceeds 60% – synthetic fibers are used for stretch and durability. 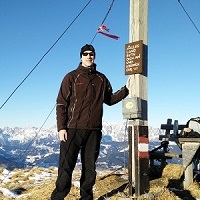 If you are looking for Merino products also check out our reviews of the Best Merino Base Layers, Best T-Shirts for Hiking (includes 2 Merino t-shirts) and Best Hiking Underwear (includes 3 pairs of Merino underwear).